FTD has announced its plans to the end of this year. It promises to be a series of very interesting releases. 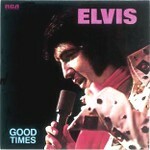 Good Times - 2CD - 7"............GOOD TIMES is a 2-disc set in the classic album series. Originally released in 1974, this great album featured the legendary “Good Time Charlie’s Got The Blues”, “My Boy” and “I’ve Got A Thing About You Baby”. In addition to the masters, it will contain many great outtakes from the Stax Sessions of 1973. The package features the 7” inch digipack format with 12-page booklet. Classic double-CD for the price of one! 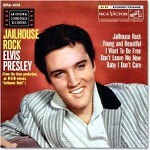 Jailhouse Rock - 2CD - 7"..........JAILHOUSE ROCK is a 2-disc set in the classic album series. DISC 1 features one disc of masters, alternate masters, movie masters and a few bonus cuts in mono. DISC 2 consists of session takes – all in binaural. The package features the 7” inch digipack format with 12-page booklet. 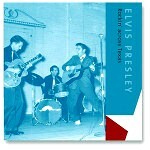 There is no IN AND OUTTAKES section to the booklet, as FTD will be releasing JAILHOUSE ROCK VOL. 2 next year, and it will make more sense to have this section when the entire intended repertoire content is released. Double CD for the price of one! 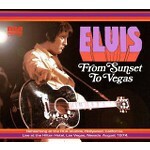 From Sunset to Vegas - 2CD - 5".........FROM SUNSET TO VEGAS is a 2-disc set in FTD’S 5 “ digipack format. 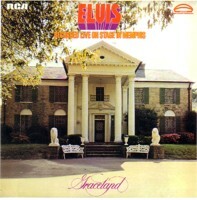 The main body of the release is the rehearsal recorded at RCA’s studio on Sunset Blvd on August 16, 1974. 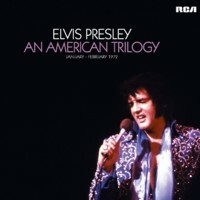 There is a bonus section on Disc 2 with 10 live recordings from Elvis’ Las Vegas engagement in August/September 1974. Double CD for the price of one! The Jungle Room Sessions - 2Disc - Vinyl...................................FTD Vinyl next release is a limited edition 2-Disc vinyl set of THE JUNGLE ROOM SESSIONS. Supplied in a new gatefold sleeve featuring additional Graceland images, it will be pressed on 180-gram vinyl and DMM Copper mastered at Abbey Road Studios, London. Note: The price of the vinyl releases is yet to be announced. 'Dixieland Delight' new FTD: On May 18th FTD will be releasing a 2xCD set called Dixieland Delight featuring concert performances from May 31st 1975 and June 1st 1975 in Huntsville, Alabama. It is said to be released in cooperation with the forthcoming multimedia boxset Book/Dvd "Dixieland Delight" by Bud Glass & Praytomepublishing. Elvis was truly inspired by the superb reaction he received in Huntsville, selling out five shows. It’s the only time in his career that he did so many consecutive performances in one City. This set will be released as a 5” digipack with a 4 page colour booklet. CD1 - Love Me* / If You Love Me (Let Me Know)* / Love Me Tender* / All Shook Up* / (Let Me Be Your) Teddy Bear - Don’t Be Cruel* / The Wonder Of You* / Burning Love* / Introductions* / Trouble (incomplete)* / T-R-O-U-B-L-E* / Hawaiian Wedding Song* / Let Me Be There* / An American Trilogy* / Funny How Time Slips Away* / Blue Suede Shoes* / For The Good Times* / Little Darlin’* / Can’t Help Falling In Love*. 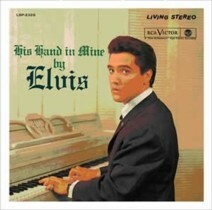 Bonus Songs: Johnny B. Goode / Hound Dog / I’m Leavin’. Beginning of Matinee show not recorded. Bonus tracks have been added from the evening performance. CD2 - Love Me* / If You Love Me (Let Me Know)* / Love Me Tender* / All Shook Up* / (Let Me Be Your) Teddy Bear - Don’t Be Cruel* / The Wonder Of You* / Burning Love (incomplete)* / Polk Salad Annie* / Introductions* / I Can’t Stop Loving You* / T-R-O-U-B-L-E* / I’ll Remember You* / Let Me Be There* / Why Me Lord* / An American Trilogy* / Funny How Time Slips Away* / Little Darlin’* / Can’t Help Falling In Love*. 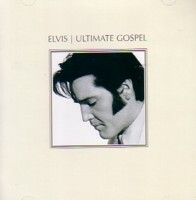 Bonus Songs: I Got A Woman - Amen / Release Me / Heartbreak Hotel / How Great Thou Art. FTD to release Standing Room Only as 2LP set: On March 23 FTD will be releasing a 2CD version of STANDING ROOM ONLY. As you know the album was never officially released and it's possible that the version we create was never meant to be, but it's the best way we can present the Las Vegas masters from February of 1972 and the masters and outtakes from the March 1972 sessions at RCA. FTD are planning two more CDs for the first half of 2009, and at this time they have scheduled them for mid-April and mid-May. FTD is pleased to announce the release of a special 2-disc 180-gram vinyl set. Supplied in a new gatefold sleeve, the original release is complemented by a special soundtrack companion album featuring many stereo outtakes not previously available on this format. Note: The price of the vinyl releases is yet to be announced. "Blue Hawaii" to be February FTD release: If all goes according to schedule, the new FTD-release will be available February 15th. 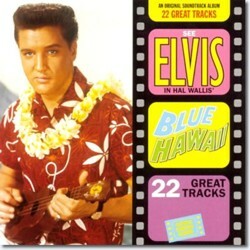 This time, the team of Ernst Jorgenson picked Blue Hawaii to re-release as a classical 2CD set and also as a limited 2LP set. 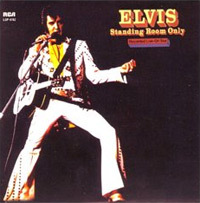 On March 15 FTD will follow up with a 2CD version of Standing Room Only. As you know the album never came out, and it’s possible that the version we create was never meant to be, but it’s the best way we can present the Las Vegas masters from February 1972 and the masters and outtakes from the March 1972 sessions at RCA. FTD is planning two more CDs for the first half of 2009, and at this time we have scheduled them for mid-April and mid-May. One more thing: the FTD 6363 Sunset Blvd will no longer be available, so get it while you can. 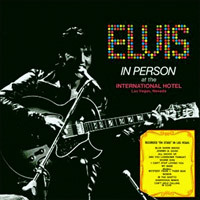 Elvis In Person - double CD edition of the album Elvis In Person, including bonus songs recorded live in Las Vegas in August 1969 and the complete dinner show from August 22, 1969. Part of FTD's 7" Deluxe series. 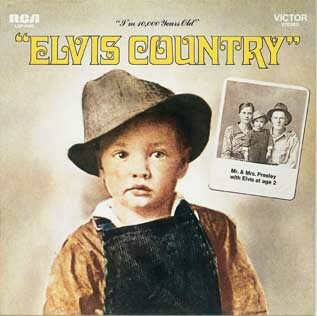 Elvis Country: This is a 2CD release showcasing Elvis' critically acclaimed "concept" album recorded during sessions in June 1970. Part of the Clasic albums 7" series. 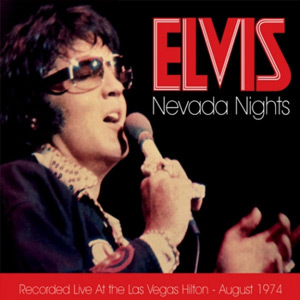 Nevada Nights: This is a 2CD 'soundboard' release including the opening night performance from Elvis' August 1974 Las Vegas season. Originally titled "Down In The Alley". 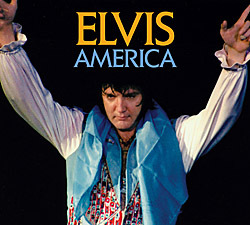 America: a soundboard release from April 1976, with the body of the recordings being from the Omaha show. 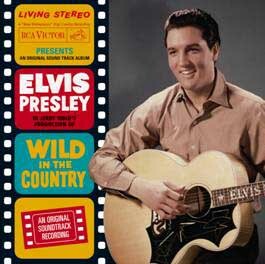 Reissue of 5" CD from the book/CD release: "The Way It Was"
January 2008 FTD will be "Wild In The Country": The Follow That Dream label will release the “Wild In The Country” soundtrack in the classic albums series in early January 2008. As usual it will be in the 7” digipack format, with a booklet. Due to the number of songs recorded for the movie, this will be a single disc release. All tracks have been remixed and remastered for this release and sound truly beautiful according to the FTD newsletter. 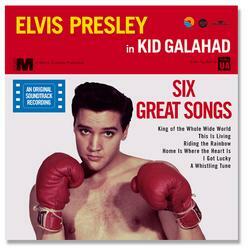 Single disc, gatefold release in the 7" series. Track listing below. 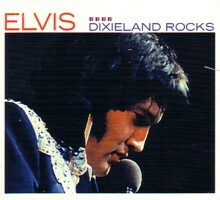 Two (2) disc gatefold release in the 7" series. Track listing below. 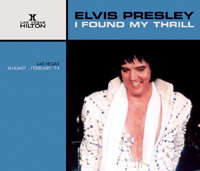 This quarter's regular 5” digipack release covers Elvis’ engagement at The Las Vegas Hilton in January-February, 1972. 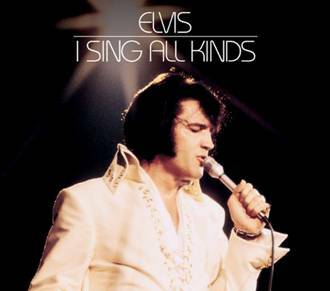 RCA did not record entire shows, and several of the new songs Elvis had added to his shows were only recorded once. 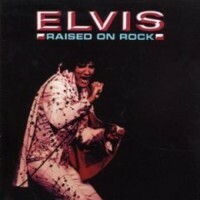 The consequence is that the main body of the CD – the RCA recordings – feature several previously released versions. A book and CD set. 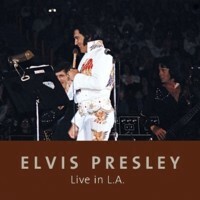 Live in L.A. the book features more than 200 photos of Elvis at his various Los Angeles shows. The main focus is on the evening concert at Inglewood Forum May 11, 1974. The CD is an informal "soundboard" recording of that particular show with a few songs from other shows. 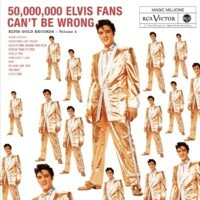 The reissue of 50,000 Elvis Fans Can't Be Wrong (Elvis' Gold Records, Volume 2) is expanded into a 2-disc set. Follow That Dream Records chose to include the entire June 10, 1958 sessions to give you the experience of following Elvis through a whole night of sessions. (Unfortunately, session tapes of the other recordings on this set were destroyed many years ago.) 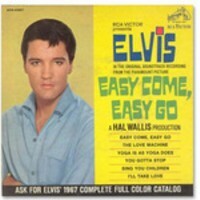 Three Elvis interview recordings are also included (from the famous "Elvis Sails" EP). The latest FTD release Unchained Melody is now out. 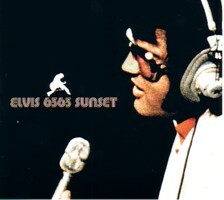 This a soundboard recording from an Elvis concert in Charlotte, North Carolina on February 20, 1977. 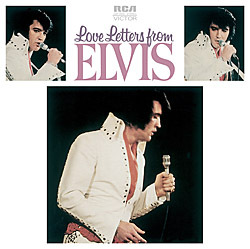 For unknown reasons, the engineer never recorded the beginning of the shows on this tour, and consequently the CD starts with Love Me rather than Elvis's usual opening material for this tour. Bonus songs from other concerts on the same tour are included. 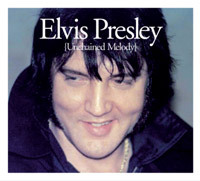 Released on October 1, 2006, this new CD combines previously unreleased outtakes from the sessions at Western Recorders, with the June 24 rehearsal at NBC (previously only available on bootleg). The Western recordings include the opening, the gospel sequence, the road sequence, Memories and If I Can Dream. "I Found My Thrill ": FTD's latest soundboard release. 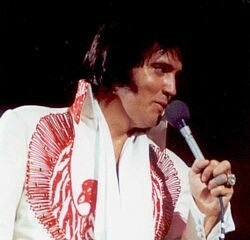 This is Elvis live in Vegas on 27 January 1974. Bonus songs: My Baby Left Me 2: 19– Jan. 28, midnight show/ Trying To Get To You 2:16 – Jan. 28, midnight show/ The First Time Ever I Saw Your Face 3:13 – Feb. 1, midnight show/ I Found My Thrill – medley***: 5:33 / Blueberry Hill/ I Can’t Stop Loving You. 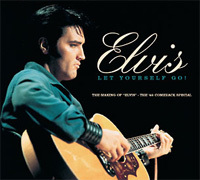 Elvis Presley (2 disc edition): Elvis' first ever LP album released as part of FTD's "Classic Albums" series with bonus outtakes. Deluxe 7" packaging format. 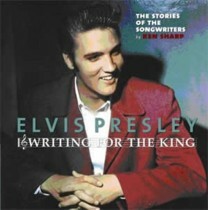 The FTD edition will also include a previously unreleased radio interview from 1956. 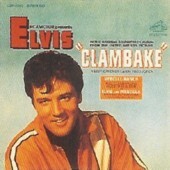 "Clambake": The latest release in FTD's "soundtrack" series. Deluxe 7" packaging. Original takes, outtakes and original bonus tracks. The Album: Guitar Man ; Clambake ; Who Needs Money? ; A House That Has Everything; Confidence ; Hey, Hey, Hey ; You Don't Know Me ; The Girl I Never Loved ; How Can You Lose What You Never Had ; Big Boss Man ; Singing Tree ; Just Call Me Lonesome ; Additional Movie Outtakes: You Don't Know Me (film version - Take 20) ; Clambake (reprise - Take 4) . Something For Everybody: Next release in FTD's "Classic Albums" series. 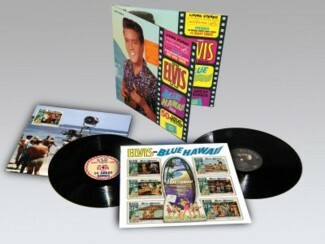 Deluxe 7" format, featuring masters and alternate takes from Elvis' best selling 1961 albums. 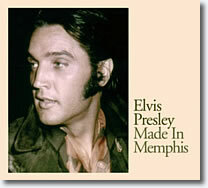 Made In Memphis: This release will feature outtakes from the American Sound Studio in 1969, the Stax Studio in 1973 and last but not least, outtakes from the Jungle Room sessions at Graceland in 1976. There is also a five song set of home recordings made at Sam Thompson's home in November 1973. Southern Nights: Soundboard from the 1975 Spring Tour. The "Southern Nights" last one is a live compilation from the Spring Tours of 1975 and a companion set to "Dixieland Rocks". 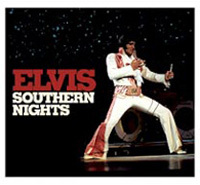 "Southern Nights" is a soundboard recordings, meaning a recording at shows with semiprofessional equipment. There are several flaws on the original source tapes. 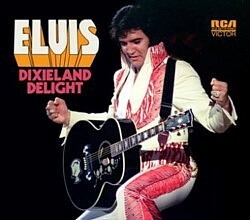 "Southern Nights" shows just how vast Elvis’s repertoire was at that time, with 19 songs not featured on "Dixieland Rocks". Loving You: FTD's latest 2CD, deluxe 7" format release. 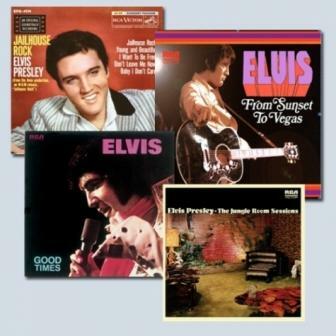 Part of FTD's remastered series of Elvis' soundtrack albums. 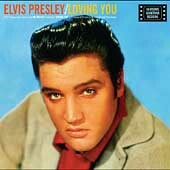 The 2-disc upgraded version of "Loving You" has carefully been restored by Kevan Budd. This is a variation of the BMG release from earlier in the year. 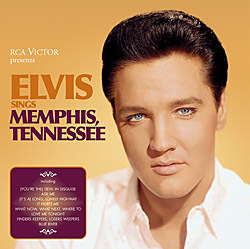 The FTD label has been able to obtain a handful of movie versions from a brilliant tape source, and on disc 2 you get the opportunity to hear all takes of Elvis recording the title song "Loving You" on February 14, 1957. You will get 15 takes of the main version in binaural as an extra bonus. 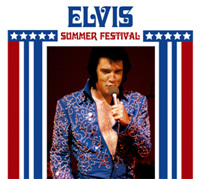 Summer Festival '72: The latest soundboard recording, this time featuring Elvis' dinner show on 11 August 1972. Despite 'unofficial' releases of a show for this date, Ernst Jorgensen says those releases had an incorrect date. This show has NEVER been released before. 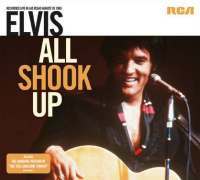 "All Shook Up" - the July 2005 soundboard release from FTD. 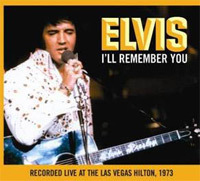 Elvis' Las Vegas concert on 26 August 1969, this show was originally recorded as a RCA 8 track Stereo recorded concert the CD will contain Elvis' including the famous "laughing" version of Are You Lonesome Tonight? 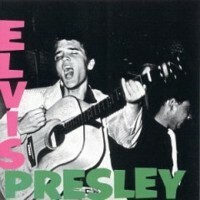 Track listing: Blue Suede Shoes, I Got A Woman, All Shook Up, Love Me Tender, Jailhouse Rock/Don't Be Cruel, Heartbreak Hotel, Hound Dog, I Can't Stop Loving You, Mystery Train/Tiger Man, Monologue, Baby What You Want Me To Do, Runaway, Are You Lonesome Tonight? (Laughing version), Rubberneckin', Yesterday/Hey Jude, Introductions, In The Ghetto, This Is The Story, Suspicious Minds, Can't Help Falling In Love. 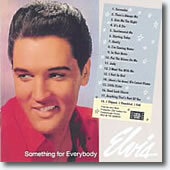 "Elvis Today " - the July 2005 7" deluxe format release from FTD. This is a 2CD release features masters and outtakes of all previously released takes PLUS unreleased outtakes. 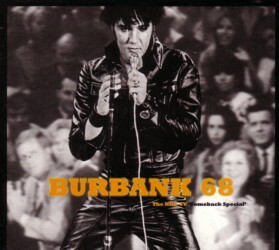 Burbank '68 The NBC TV Comeback Special: The first ever FTD release, issued in 1999. 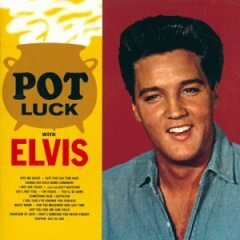 Track listing: Danny boy (instrumental) - Baby what you want me to do (instrumental) - Love me - Tiger man - Dialogue - Lawdy miss clawdy - One night - Blue Christmas - Baby what you want me to do - When my blue moon turns to gold again - Blue moon of Kentucky - Dialogue - Heartbreak hotel - Hound dog - All shook up - Can't help falling in love - Jailhouse rock - Don't be cruel - Love me tender - Blue suede shoes - Trouble/Guitar man (take 4) - If I can dream (take 4, vocal) - Let yourself go (instrumental). 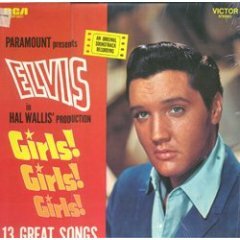 Tracks 1 till 12 recorded at Elvis'dressing room at NBC, Burbank, tracks 13 till 21 recorded at NBC Studios, Burbank, tracks 22 & 23 recorded at Western Recorders, Hollywood. 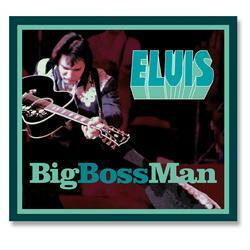 All other FTD releases are available "on order"
"Big Boss Man" - the April 2005 soundboard release from FTD. 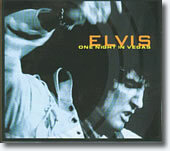 The CD contains Elvis' 30 March 1975 dinner show engagement at the Las Vegas Hilton. Track listing: See See Rider/I Got A Woman – Amen/Love Me/If You Love Me/And I Love You So/Big Boss Man/It’s Midnight/Promised Land/Burning Love/Introductions/My Boy/I’ll Remember You/Let Me Be There/Hound Dog/ American Trilogy/Can’t Help Falling In Love. Bonus tracks: You Don’t Have To Say You Love Me (3-31-75)/The Wonder Of You (3-31-75)/Bridge Over Troubled Water (3-31-75)/Little Darlin’ (3-31-75)/Hawaiian Wedding Song (3-31-75)/Green Green Grass Of Home (Undated)/Fairytale (Undated)/Teddy Bear/Don’t Be Cruel (Undated)/You’re The Reason I’m Living (Undated). 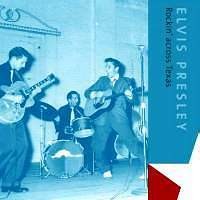 "Rockin' Across Texas" - combination book + CD. Described as an exciting book (& 2 CD set) project this is a fly-on-the-wall visual and audio documentary featuring two amazing concerts: Amarillo Civic Centre 19 June 1974 and Tarrant Centre, Fort Worth 3 June 1976. Now due for release on 1 April 2005. Disc 2 - Fort Worth: See See Rider 4:19; I Got A Woman/Amen 7:20; Love Me 3:04; If You Love Me 2:54; You Gave Me A Mountain 3:16; All Shook Up 1:09; (Let Me Be Your) Teddy Bear 0:50; Don’t Be Cruel 1:12; And I Love You So 3:28; Jailhouse Rock 1:36; Fever 3:05; America 3:10; Polk Salad Annie 4:35; Introductions; Early Morning Rain, What’d I Say, Johnny B. Goode, Introductions, Love Letters, School Days; Hurt 4:01; Hound Dog 3:00; Funny How Time Slips Away 4:36; Can’t Help Falling In Love 4:08; Closing Vamp. 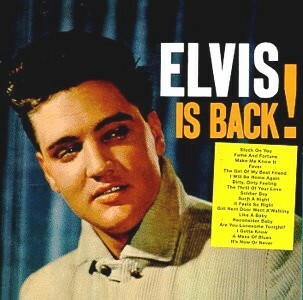 Elvis Is Back - FTD Records' 2CD version of Elvis is Back! in the deluxe 7" format. It includes a limited number of previously unreleased outtakes from this historic studio album, offering all previously released versions of masters and outtakes. Email EIN for more information.